The 1st contender is Olga Malsi Andaya who is a high school graduate. She was an honorable mention and a volleyball varsity player in high school. She now owns an online business. The next contestant is Zayanarah Chawanna Chanota who took up Psychology. She was a valedictorian in high school and a scholar in college. She is now working as a financial care specialist in BPO. Last but not the least is Joms Aquino Cojuangco who studied Business Administration. She is currently a sales lady in bazaars. The contenders were reminded by the host to check their buzzers first if it works and to describe their answer in 3 phrases. The 1st question is then asked but they all failed to guess the correct answer. For the next question, Zayanarah finally give the right answer and will advance in the 2nd round. When the 4th question was asked, Olga also gives the exact answer and will also advance in the next round while Joms is eliminated. Zayanarah is called and her question says; what will you prefer between spending a morning with Aga or consume till evening with Gabby. She chooses to overtake morning with Aga because daytime is where we are all active with our respective works while nighttime is a moment to rest. 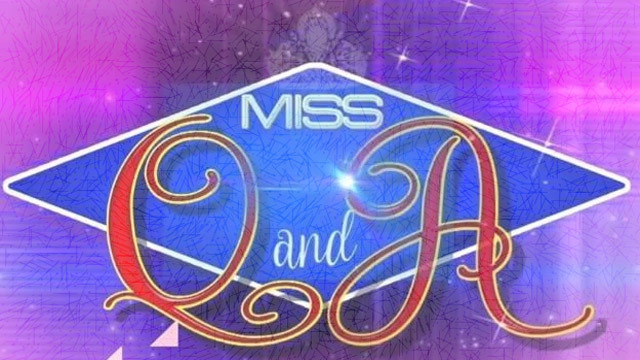 Olga is the next one to be called and her question says; could Aga experience being late? She said that it is possible because he is also like us who can disobey the right time. Based on their answers, Zayanarah will go head to head with the reigning queen. Zayanarah and Gianna are going to answer the question that says; if your boyfriend will leave his family for you, will you be happy? The daily winner answered that he will be sad if he will do that because having a family by your side is important for her. The defending winner on the other hand said that she will be happy however; she won’t allow him to do that because families are significant to us Filipinos. After a deliberation of judges, Gianna is still the reigning queen and will defend her crown on Monday.